The First World War was waged between empires that were global in their ambitions and reach. Between 1914 and 1918, millions of African soldiers served in long, colonial campaigns that spanned the whole of the African continent, contributing to victories throughout the First World War. 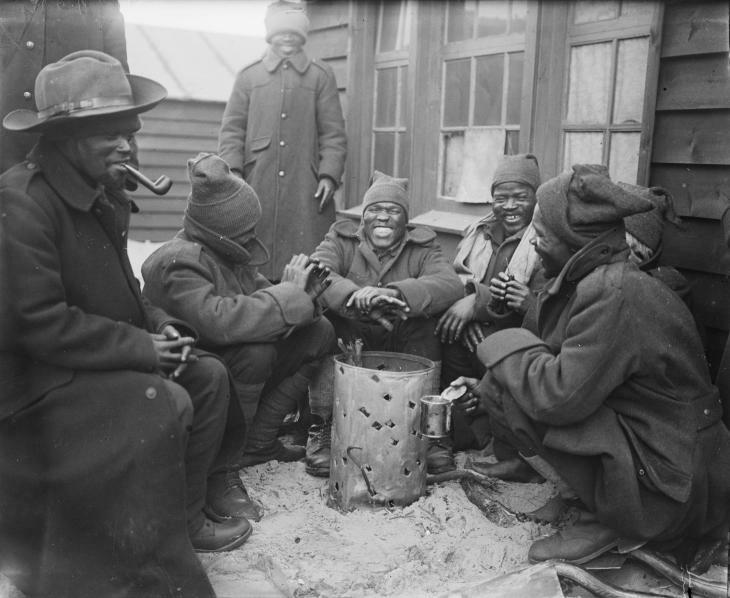 In addition to this fighting, African soldiers from British, French and Dutch African territories were brought to Europe’s western front, where they lost their lives alongside unknown, unheralded and undocumented carriers. African Soldier seeks to commemorate these Africans who fought, served and died during the First World War. This new multi-screen installation—using footage from IWM’s extensive archive—by artist John Akomfrah remembers the millions of African men and women who participated in the First World War, either as soldiers or carriers.